The Russian-Armenian coproduction makes the popular works of Ivan Aivazovsky alive and shows people who keep the traditions of the marine painter. The movie presents people, who restore with their own hands the building of the gallery and his tomb that was nearly destroyed. Each of them has its own notion of the Ayvasovsky’s significance for them and for the peninsula in general nowadays. 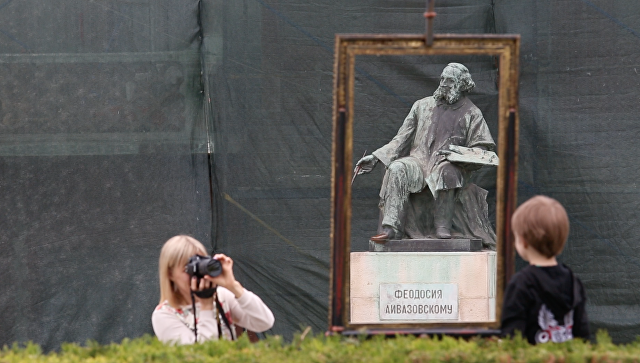 Students of the gallery, seamen who “were learning to love the sea from Aivazovsky,” residents of Feodosia, museum employees, the priest and others are keeping memory of the great painter. In 1977, he graduated from the Economic Department of Yerevan State University. Taught Political Economy at Yerevan Polytechnic Institute. In 1996, he was elected Secretary of the International Confederation of journalists’ Unions (MCGS). In 1998, he was elected Secretary General MCGS. He is the president of Mediacongress The Commonwealth of Journalists, secretary of the Union of Russian Journalists, takes active part in creating documentary and feature films as the director, scriptwriter and producer. He was awarded with Golden Feather of Russia Award for the series of documentaries Explore Russia broadcasted on TV channel Russia Today in 2013, received a Special Prize of the Jury in the Festival of Russian Cinema “Window to Europe” for the series of documentaries Russia. Positive 2013, and also a Special Prize of the Jury of the International Festival of Non-fiction Cinema “Arctic” for the film Names on the Map: Semyon Dezhnev 2014. One for a Million (1992), Explore Russia (2008), 36 Warrior» (2009), The Artist (2010), Dmitry Sirotkin. Distance Confession (2011), The Orbeli Cod (2012), Happy Factory (2012), Russia. Positive (2012), The Best land Near the Sea (2012), We Build Moscow (2013), Names on the Map (2013), Earl Loris-Melikov: Truthful and Faithful (2014), Hermitage with Love (2015), Armenian Sketches (2015), I Live in Altay (2016), Ah, Hermitage! (2017), I Am Aivazovsky, a Native of Crimea (2018).